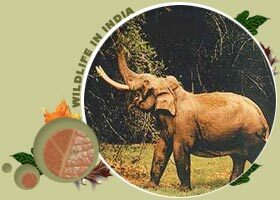 This tour is planned in such a manner that not only you will enjoy wildlife safari in north india but also you can visit the rural, cultural, heritage monuments like Taj Mahal, Qutab Minar etc., In wildlife one can enjoy best tiger & elephant habitat, holy shrine & rafting in the most holy river of India. Morning free at the hotel. Afternoon guided tour of New Delhi. Visit India Gate, drive past President House, Qutab Minar & Humayun's tomb. Overnight at the hotel. Drive to Jaipur (5 hr.) in the morning. Afternoon guided tour of Jaipur City covering City Palace , Hawa Mahal (Palace of winds) & Jantar Mantar (Observatory).Overnight in a hotel. Morning elephant ride through the jungle for animal viewing. Afternoon jeep safari to another section of Corbett Tiger Reserve (optional) or nature walk with a guide along the river. Overnight in a cottage at Tiger Camp. Raft down from the camp to Rishikesh and drive back to Delhi (6 hr.). Overnight in the hotel.